Discover how the central defender’s day went: The medical check-up, the signing of the contract, the photos with the president, his first steps onto the Camp Nou pitch, the press conference... Don’t miss this Inside View! 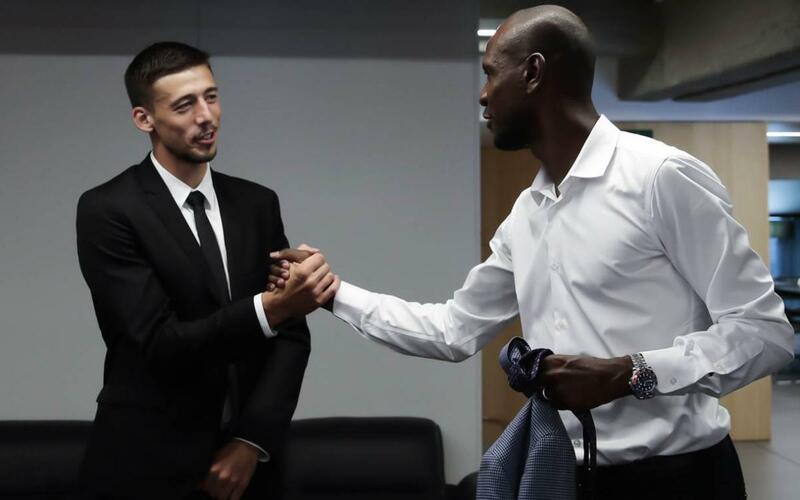 Clément Lenglet was presented this Friday as a new player of FC Barcelona. The French centre-back experienced a very intense day at Barça’s facilities where he passed the medical check-up at the Ciutat Esportiva, signed the contract with President Josep Maria Bartomeu, stepped out onto the Camp Nou pitch and gave his first press conference as a Barça player. In the following behind the scenes video, we review all of the above and see his first touches of the ball as a blaugrana. Don’t miss the inside view!